Everyone talks about how great being in a relationship will be. And everywhere you look, you see happy couples. The commercials, the cards, social media—they all reflect what you want, but it’s not what you have. In fact, you wonder if you ever had it. But you’re still not sure if you should give up. 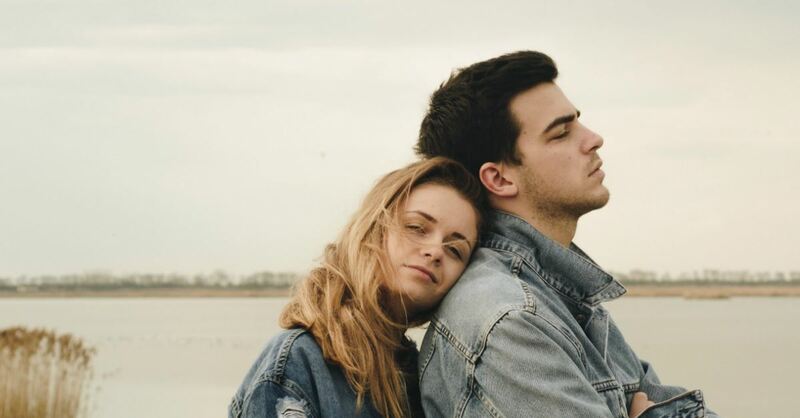 While it's sometimes difficult to know whether our dating relationships are healthy and worth pursuing, God offers wisdom, if we only ask for it and seek him. Here we'll use biblical principles to find several indicators of a dying dating relationship. Sometimes people are more in love with being in a relationship than they are with the other person. They end up hanging onto little threads with the hope that things will get better. Relationships are give and take; if one person is always giving and the other person just receiving, it won’t last long. Example: Rick and Karen met at a party and really hit it off. They had much in common. But after a while, it became one-sided. Rick seemed to care only if his needs were met. Karen kept telling herself things would change, but they didn’t. Now the relationship is a drain on her while Rick is completely unaware. Mutuality is crucial. Read Ecclesiastes 4:9-10. A caring relationship is one where each person knows the other will be there for them. They feel supported. When there’s only one person giving in a relationship, it is exhausting. Love gives; we see this illustrated throughout Scripture. But God designed us to both give and to receive. This makes a relationship grow. Otherwise, the ground becomes fertile for a crop of bitterness and resentment. In the beginning of a new relationship, you’re enamored with the other person and want to spend time with them. But if your relationship swallows all of your time and you no longer have a life apart from them, it may not be healthy. Example: Jenna loved being with Tom, but one day her friend Anna pointed out how much Jenna had changed since she started dating him. It didn’t take long for Jenna to recognize that while she and Tom were together, she was lost in the relationship and cared less about other people in her life. Being young and inexperienced, Anna didn’t realize this was happening. She was thankful she had a friend who communicated what she saw. Read Proverbs 27:17. A relationship should not isolate us. If we have had other people in our lives, but our relationship is changing that, we need to pay attention. A healthy relationship makes room for others. Not just their friends, but ours as well. Relationships consist of two people coming together with different personalities, ideas, and life experiences. However, when one person dominates the relationship, the only way it can continue is if the other person is willing to just blindly follow, lose their identity, and become the person the controller wants them to be. On the contrary, a healthy relationship allows each person room to grow. And while there may be growing pains, it is not at the expense of the other person. Example: With Mary and Jim, both had ideas, but Mary was only interested in her own. Each time Jim tried sharing his ideas, they were quickly dismissed unless Mary had similar thoughts. It didn’t take long for Jim to stop talking. What was the use if no one was listening? Read James 1:19. God tells us to be quick to hear and slow to speak. If we follow God’s instruction, not only will the other person in the relationship feel heard, but also respected. You cannot have a healthy relationship without respect. We hear stories all the time about people finding their soulmates: how two people seem so well-suited for each other. But sometimes, we find people we clash with. After a while, we wonder if there is anyone out there who would be a good fit. And then we realize that asking God would have been a good idea. Example: In the book, Shadow of the Almighty, by the missionary Jim Elliot, Jim shares how his relationship with Elizabeth got started. I read that book when I was single, and what impacted me the most was how much he relied on God for everything. Read Matthew 6:33. So many times, we see our relationships as vital to us. God cares about us and our needs. If we continue to seek him, he will guide and direct us. Why not trust the one who created all of us? If we don’t go to God, we have no right to blame him when things don’t work out. Sometimes, as relationships die, so does communication. Example: Nick and Lisa got along so well in the beginning. There were never any disagreements. At times, Lisa thought it was too good to be true. Especially when she remembered all the fights her parents had when she was growing up. Getting along was important to her in her relationship. But lately, she and Nick didn’t seem to agree on anything. Each conversation turned into a war of words with no one listening. Being right mattered more than being together. Read Proverbs 18:13. Honor is considering the other person in a relationship. When we do that, we give them the courtesy of listening to what they have to say. Not with bated breath, waiting to jump in and refute their words, but because we genuinely want to know what they think. When all you have is arguments, you’re not communicating. Relationships go through struggles at times. One of the best things to do when that happens is pray. But maybe you share different beliefs when it comes to spiritual matters. Example: Laura and Rob had different beliefs. Laura told herself that it was okay. After all, Rob didn’t mind her talking about God. She convinced herself it was no big deal—that one day Rob would be a believer too. But after a while, Rob didn’t want to hear about God anymore. In fact, he voiced his displeasure that she spent so much time with her church friends when she could be with him. Read 2 Corinthians 6:14. God tells us why it’s important that we share the same faith in our relationships. If the person you date gives you grief whenever you talk about God, you have no guarantee that they will ever change. God gives us this instruction because he knows there is no fellowship between light and darkness. Sometimes, when we’ve made a mistake, we’re ashamed to admit it. Instead, we try to power through, which tires us out all the time. We’re worried about what others will think. Maybe some have tried to counsel us about our relationships, and we’ve been resistant. Example: Trudy and Ron were in a relationship. Trudy’s friends were leery, but she ignored what they had shared with her. Down the road, things got abusive. Then Trudy was afraid of looking like a failure, so she kept quiet. Had Trudy been open to counsel, things might have been much easier for her. Read Proverbs 11:14. Sometimes in relationships, we see what we want to see. Society paints an unrealistic picture that we try to emulate. The problem is, the picture isn’t real. If we are open to the advice of others, we can avoid pitfalls we might otherwise fall into. In the abundance of counsel, there is wisdom. We need wisdom in our relationships. And sometimes, we can get that wisdom from others who care about us. We can ask those we trust for feedback, and then ask God for a willingness to hear it. When two people are content to just go through the motions instead of working on their relationship, fear could be involved—the fear of being alone. Fear will paralyze you. Your relationship is not healthy if you are two people acting the part of a couple. It is better to evaluate what you’ve learned from the relationship and move on. It is in relationships that we discover the types of people we relate well to, as well as those who are not suitable for us. Moving from one relationship to another is not mature. It would be better to work on yourself so that you will attract and benefit someone who is healthy. We can ask God to help us in our relationships instead of just trying to figure things out for ourselves. Read Proverbs 3:5-6. Acknowledging God in every facet of our lives is the wisest thing we can do. God knows us completely, and he knows the hearts of everyone else. Even if they are not showing us their true self, God sees it. Why not trust him to lead us to the right person? God, I pray for each person who reads this article. Father, if they are in a relationship that is unhealthy, give them wisdom about what to do. If their relationship is a good one that needs work, show them how to move forward. But if their relationship is unhealthy, and possibly even dangerous, lead them out, Lord. Help them to learn from every relationship they have been in, so that they don’t repeat mistakes. We know you love them, Lord. We pray this in your Son’s precious and holy name. In Jesus’ name, Amen. Anne Peterson is a regular contributor to Crosswalk. Anne is a poet, speaker, and published author of 14 books including Broken: A story of Abuse, Survival and Hope. To sign up for her free Ebook offer, go to Anne’s website,www.annepeterson.com. Or you can follow Anne on her Facebook page or read her articles on Medium.